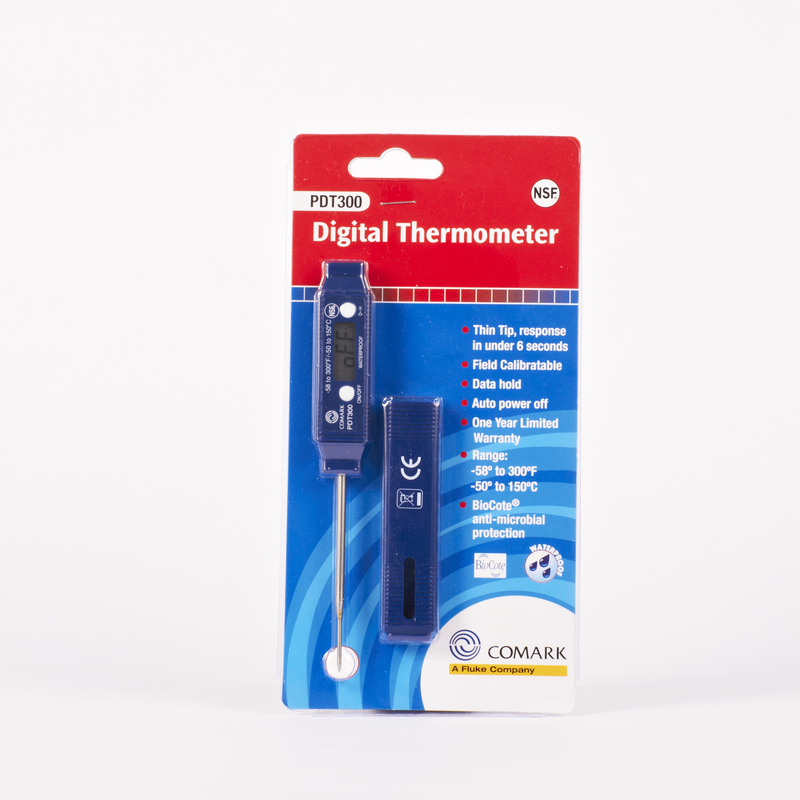 The Comark PDT300 Waterproof Pocket Digital Thermometer is a compact digital thermometer ideal for the catering industry as it’s designed to withstand constant use in humid environments such as kitchens. The probe is thin to encourage fast response readings. We paid for next day delivery because we had an emergency water survey to undertake at a children's nursery. The thermometer did not arrive and when we emailed to ask if the goods would be delivered that day we were told that the delivery driver could not find the building!!! Our building is well sign posted and we have constant deliveries to these offices without problem. If the delivery driver had phoned, someone from the office would have guided them to the building. This is not acceptable as we paid for next day delivery for a very good reason. 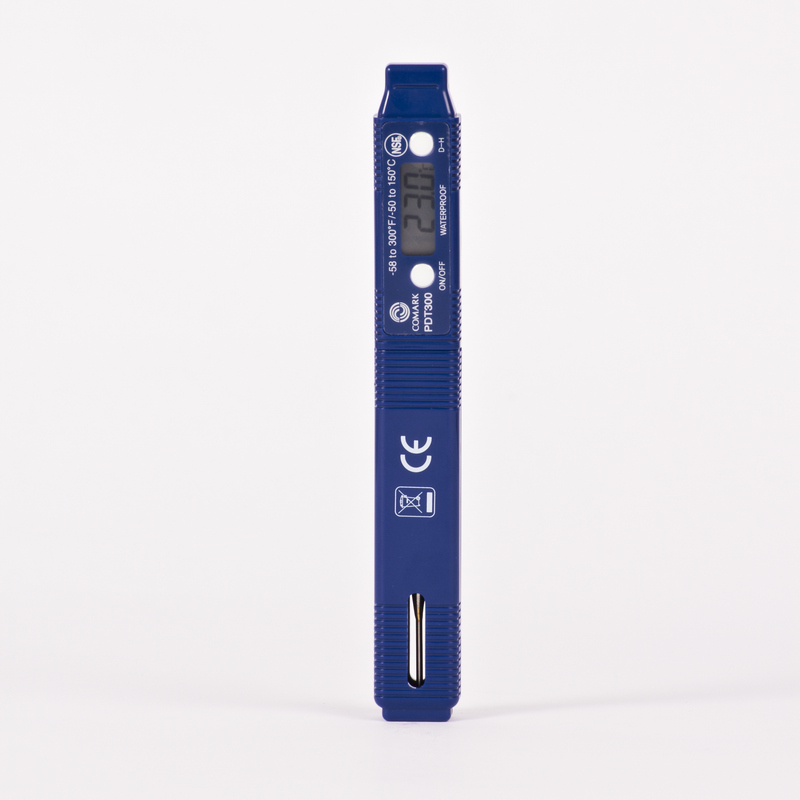 I bought this to measure water temp in a rented house for a Legionella Risk Assessment. It worked well giving accurate readings. The cover for the probe helps protect it from damage and switching itself off when I forgot was helpful. 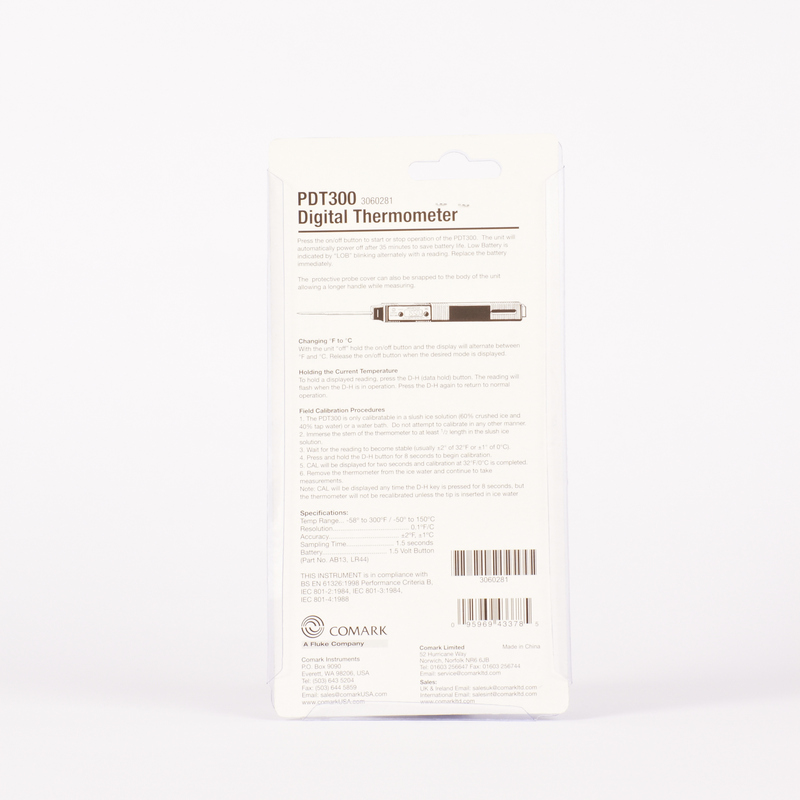 The service from Thermometers Direct was really good. Arrived quickly and suitably packaged. The delivery of this product was as expected and the item works spot on!! 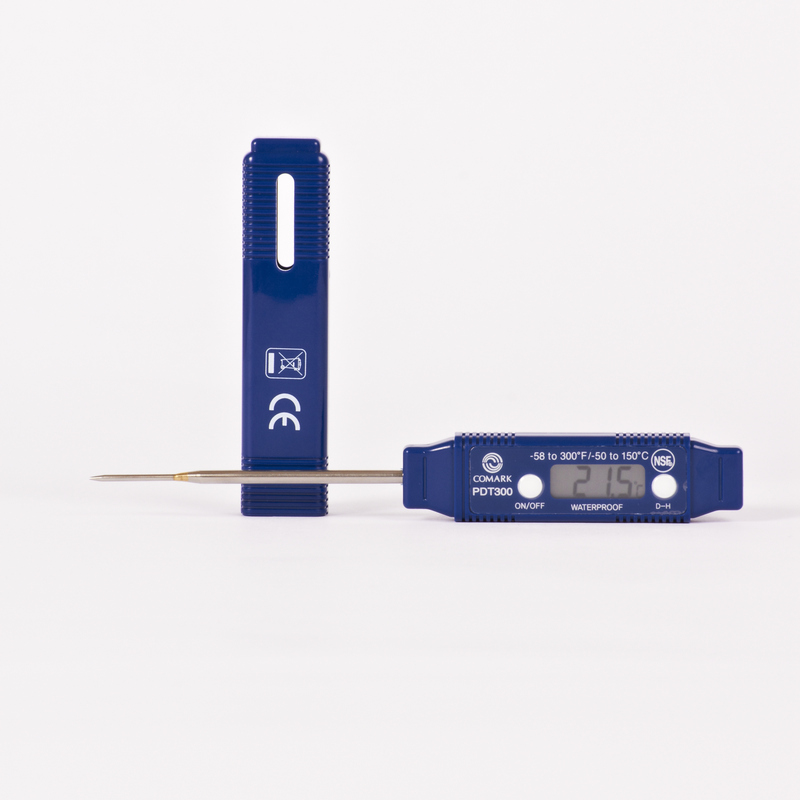 I use these in our care homes to check the water temperatures. Having trialled this myself I went on to buy them for all of our care homes. I find they are accurate and the fast response cuts down on the job time. Leaving the cap on means we don't need a separate sampling pot. Over all good quality service received.